Grab a blanket or a chair and join us this summer for an exciting concert series lineup on a NEW NIGHT! 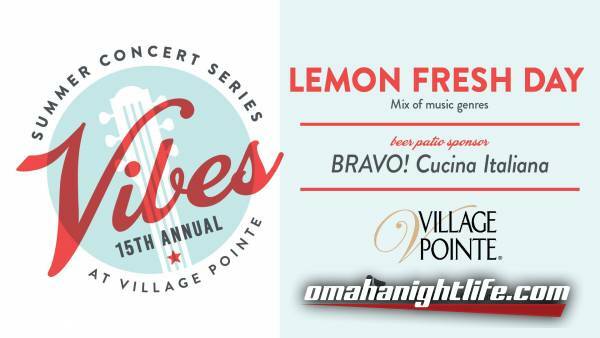 Lemon Fresh Day takes the stage June 28th with a mix of music genres! 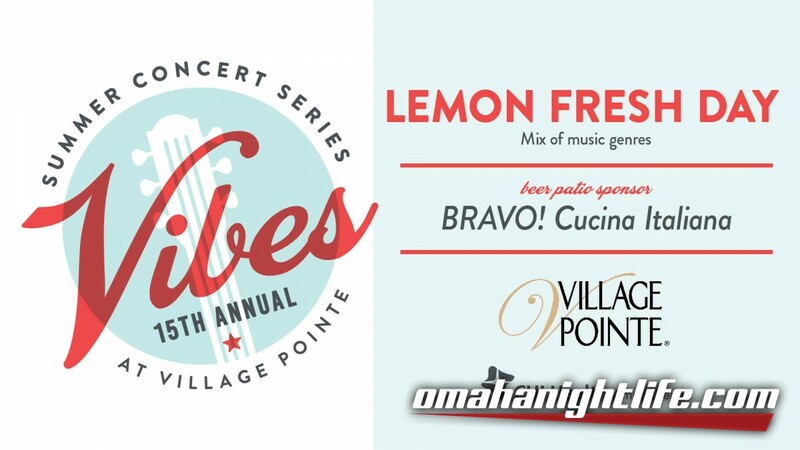 The 2018 Vibes Summer Concert Series is now scheduled on THURSDAY evenings from 6:30 - 8:30 p.m., May 31 - Aug 9. Concert guests can enjoy a cold beverage at the Brew Patio hosted by Bravo! Cucina Italiana, and ice cream by Cold Stone Creamery! *No outside alcohol is permitted. 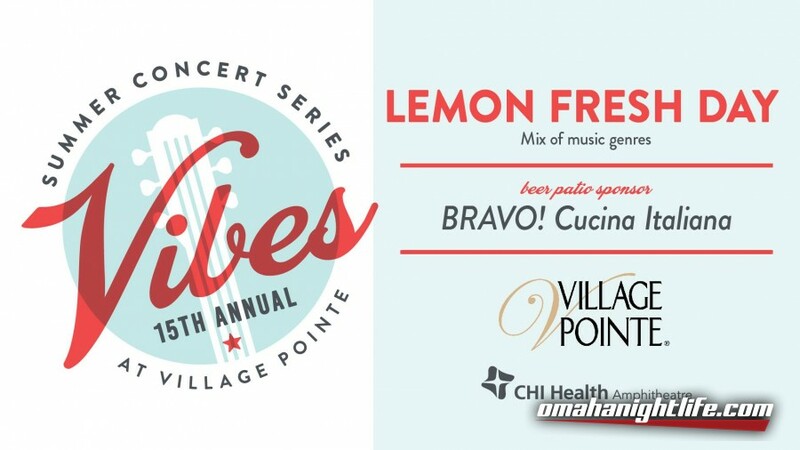 Vibes at Village Pointe is located in the CHI Health Amphitheatre.